Nest It- Features modesty panel, four locking casters, 1" inch laminate top, and impact-resistant 3 mm PVC edges. 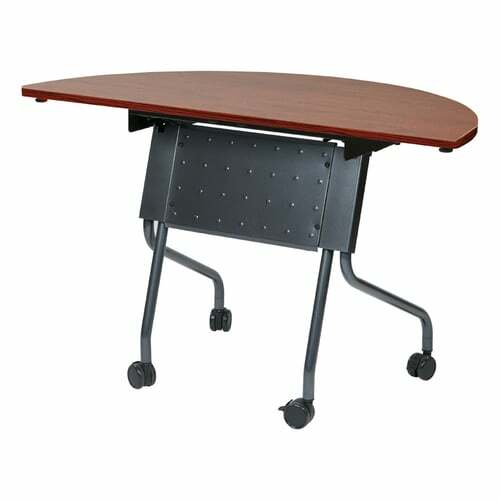 Each tabletop supports up to 200 lbs. Available in different color tops and legs.